Irrigation ministers of Egypt, Sudan, and Ethiopia have adopted the criteria and conditions under which an international consultancy will be formed to conduct the two studies recommended by the committee of experts in May 2013, Egypt's ministry of irrigation and water resources said Monday. The committee, which is set to resort to international advisory companies, will produce a detailed study on the dam's effect on the flow of the Nile's water as well as the project's environmental, economic and social effects on Egypt and Sudan. It should conclude its report within six months, by March, and its results are to be binding for all. Ethiopia has delivered some studies on the safety of the main dam as well as designs of the supplementary dam, which Egypt has not received before as part of the international committee of experts' work, state-run MENA agency quoted the ministry. Ethiopian irrigation Minister Alemayehu Tegenu promised to deliver the rest of the studies during the committee's upcoming meeting, the ministry added. 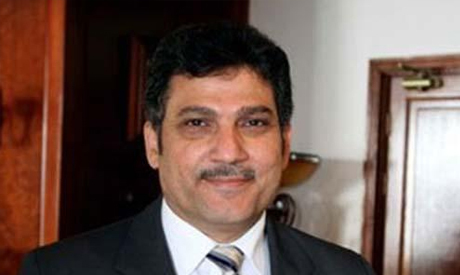 Hossam Moghazi, Egypt's irrigation minister, has called upon his Ethiopian and Sudanese counterparts to participate in the committee's upcoming meeting scheduled in Cairo on October 20 and 21. Both ministers have accepted his invitation. Egyptian-Ethiopian relations have been strained after Ethiopia announced in May 2013 that it will divert the Blue Nile's course, to build a dam generating hydro-electric energy. Egypt believes the dam would negatively affect its share of the Nile water since the Blue Nile provides Egypt with 85 percent of its Nile water share. Working together to share and protect the Nile were the foundation of human civilization. My main concern is the safety of people down stream in Sudan and Egypt from the epic flood wave in case of dam breakup by earthquakes of the region. There are better alternatives based on fluid mechanics to generate electricity from the Nile than dam-lake hydropower concept. Tahya Misr, Sudan & Ethiopia.